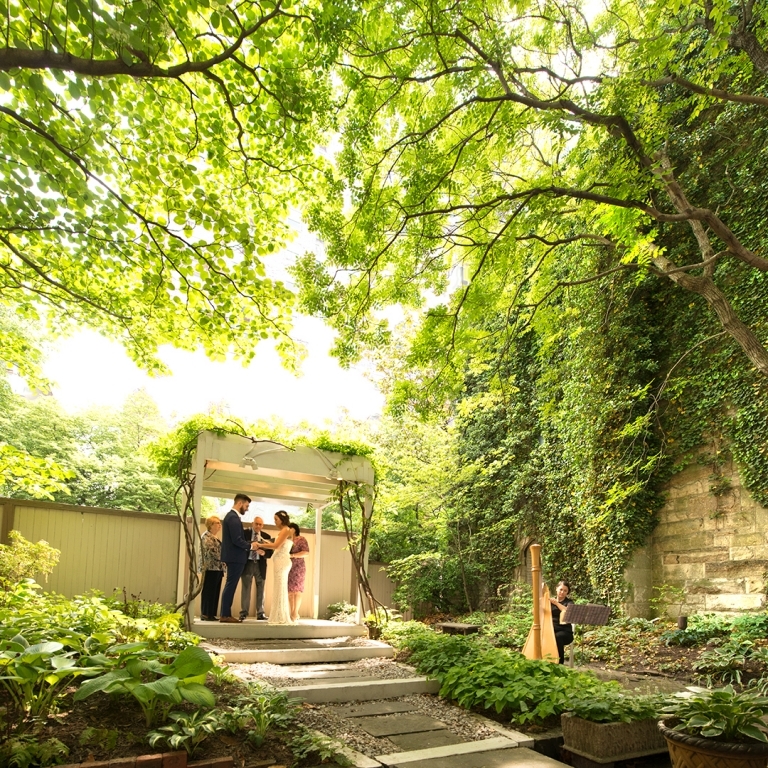 A stunningly-beautiful wedding venue, indoors and out. Memorable, romantic wedding ceremonies, from just you two to 45 guests. A completely-custom alternative to a cookie-cutter courthouse wedding. Lots of options. We take care of all the details. All at a price you can afford. Your wedding service will be conducted by one of our outstanding, experienced professional officiants. (You can also bring your own officant, if you like.) Your officiant will consult with you before your wedding to customize your wedding service so it is just right for you. 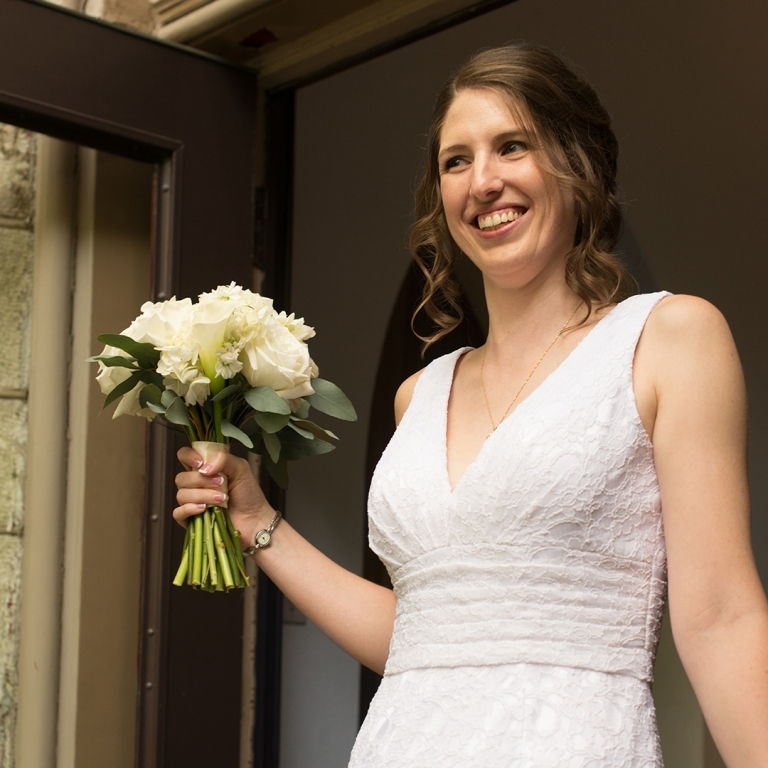 One of our top-quality professional wedding photographers will be available for one hour to capture your ceremony and portraits. You will receive all of your images digitally in high resolution, which you may view and use at your leisure. Have up to a total of 45 guests, using either the Basic Package or the Complete Package as a base. Live music adds special something to your wedding celebration, and it sounds great at Chase Court! You have your choice of harp, guitar, violin, cello, or flute (Want something else? Ask!). All of our musicians are wedding professionals with an extensive music repetoire. They'll consult with you before your wedding and be happy to perform whatever you like, whether its specific pieces or their own carefully-considered selections within categories, such as Pachelbel's Canon in D from the category of "traditional wedding music." Add an extra hour to any of the elopement packages. Dress and primp in the exquisite Chase Court bride’s room before your wedding celebration! Enjoy an hour of preparation with your attendants immediately before your ceremony. You can also use that time for photography. Schedule a one-hour rehearsal during the week to coordinate you precession and recession. Complete your wedding celebration at Chase Court with a cocktail-style reception! You'll have two hours to celebrate your wedding, ceremony included, over a cocktail-style lunch, brunch, or dinner! Choose one of our Approved Caterers to create a fabulous cocktail-style lunch or brunch for your guests—or just have hors d'oeuvres, cake, and champagne—served in the library, foyer, or the ceremony garden. What a wonderful opportunity to experience meaningful traditions and break bread together with family and friends, all without breaking your budget. Catering fees are in addition to the fees above, and are contracted separately. Please see our list of fantastic Approved Caterers! 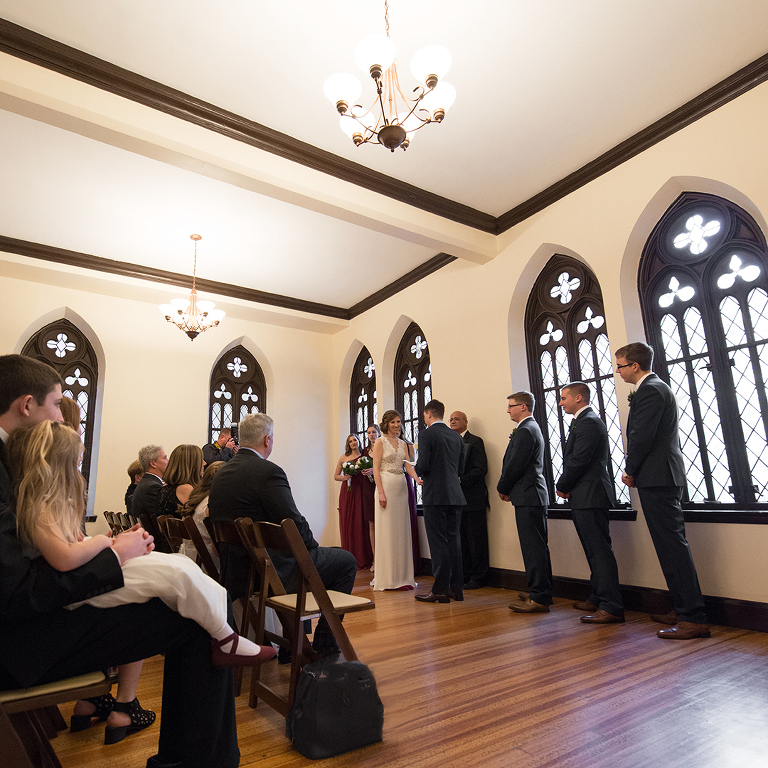 Have your indoor or rain-plan ceremony in our Great Hall instead of the Library. Wonderful if you're a Harry Potter fan, if you want more space to spread out—or if you simply love those incredible windows or that huge fireplace! Add an hour of set-up time ahead of your ceremony if you'd like to set up decorations or music. 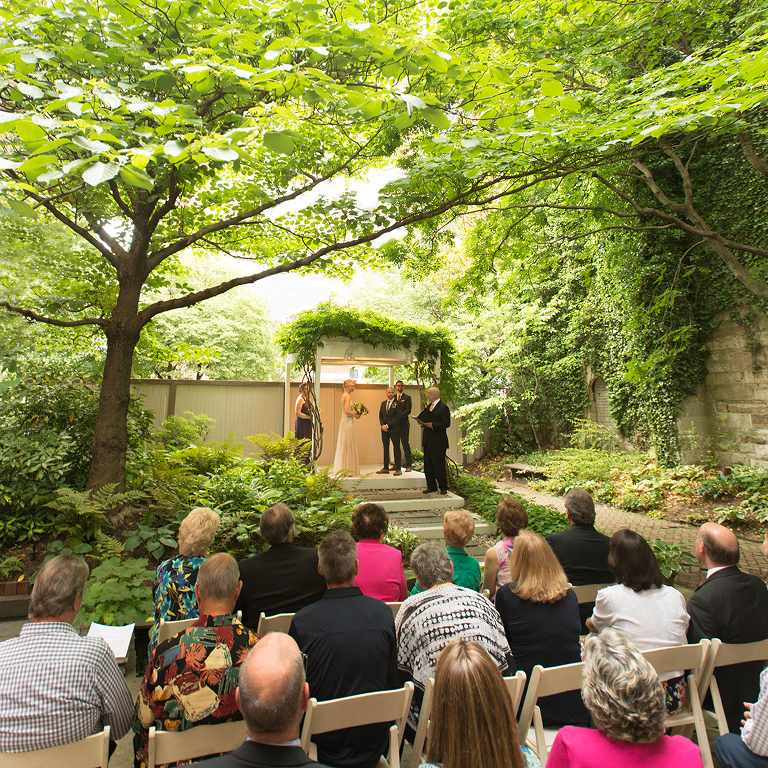 You'll need a government-issued marriage license to get married at Chase Court. Here's how! Want to have your ceremony at Chase Court and your reception at a restaurant? Gotcha covered! We've created an excellent list of restaurants for your elopement reception (or if just want something to eat after your tour of Chase Court)! Our elopement packages are available to all couples without regard to race, creed, or sexual orientation. 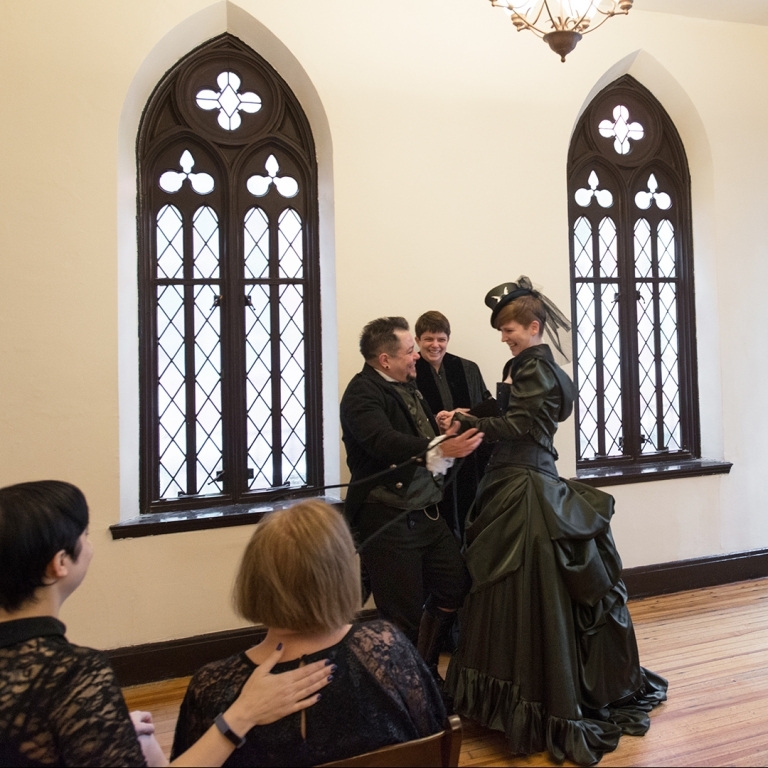 Chase Court and all of our officiants and wedding professionals are happy to welcome couples of every spirituality and sexuality. 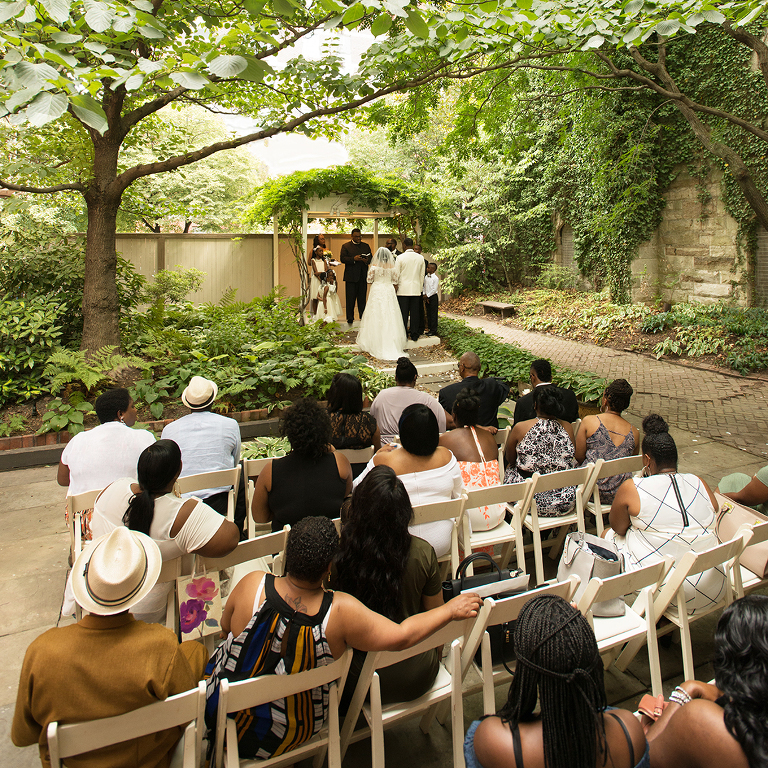 © 2019 Chase Court Baltimore Maryland Wedding Venue|P7 Photo Blog|Design by Northfolk & Co.